After the previous thread and what I've learned from doing it, I've decided to start again. To make things run smoother and to give a better idea of what this is, I'm going to start with a direct quote from the thread the original game was based on. Here's how this will work, the players will suggest new features (species, locations, planetary effects) and then roll 1d100 to decide how successful the action is. You may not suggest things that would decimate the other gods' works on a large scale. If and when sentient life and civilization takes over the world, gods will have to convert them to worshiping them before they can directly influence what the civilizations do. Without direct guidance the civilizations will do as they please (directed by the GM), random events may occur at any time. Each player will be a God of this world. All that is required for a God is a name. However feel free to style yours in any way you like. Many players of the previous game gave their characters themes, personalities, and symbols. I will be the game master, interpreting your dice roll and determining the natural evolution of the world. If you are not sure on the rules or if an action would be OK, just PM me. If you want to catch up or join at a later point, all you really need to do is look at my posts containing the actions and their results. Every round, each player will post their God's actions. The round ends once everyone participating has posted what they're attempting to do. If you don't want to participate in the current round, simply post "Pass." At the end of the round, I will post the result of everyone's rolls. Try breaking up more complicated actions into mutiliple parts. However, for every action you add past the first one, roll again. Adding multiple actions subtracts 10 for every extra action from the score of all rolls. 2 actions = -10, 3 = -20, etc. This barren planet is called Darius. It is your playground now. You do not need to say 'I am' every time, but at least give your God name for your first post. And it will be full of heat resistant squirrels. I will also create a food supply of acorns for them. Make sure to list both the original rolls, the modifier, and the new roll as opposed to simply changing the numbers after you figured out the new ones. Can we just, like, start? Hm. I believe that I shall take part in this. Why not. My name is Zerato. I hereby decree that there shall be a big tree. The biggest on Darius. Well. GOOD LUCK TOPPING THAT. !#%$ shall make his inglorious return! And how might the old lord Huey go about first planting his seed in this world, hmm? ...that's a damn good question. HMMM. And as the old lord Huey's going about this pondering, that Zerry fellow over there's made a tree! Or, is making one. And truly, the way he's going about it is inspiring. Well, to !#%$, anyways. Take that as you will. He'd react to this by surrounding this no doubt to be positively glorious tree with a great, murky bog, its waters so filthy and sludge-like, that its fumes would be downright toxic to most creatures, not that any such things exist yet. Darkness enveloped the poor god Horus before. 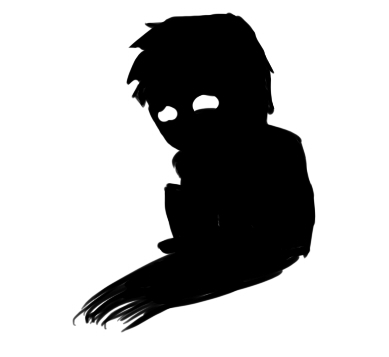 Left in the voided space of the previous universe, his mistakes surrounding him like...well, like darkness. But finally, his day comes. He rises from his slumber, sadness filled in his eyes and probably in the ragged clothing he would no doubt wear. However, he realizes something first off when he noticed the door. No God can end up messing up in the start of a universe twice in a row. That'd be terrible. He knows that his power had to be greatly improved from his previous experience from the now voided universe. He stands up, walking slowly towards the door to the new universe. With a whisper, he opened the door and cast his dice into the room, as if all the luck he accumulated from before would grant him a great head start. "A...m-mountain range. I desire a vast...a vast mountain range." He emphasized his command as he cast his eyes on the dice. To make his/their mark on Darius, it needs to be something befitting of the name, so that much may sing praises of his/their work. "None can live on which that is not fertile. Bring forth a vast plain, one with which minerals are sure to be rich!" While this is the first round, the game is still open to new players. Feel free to join if you haven't already. From Bacon's divine word, an ocean is created but with no satellite it rages uncontrollably. Below it lies a beautiful coral reef. A small withered sapling sprouts. 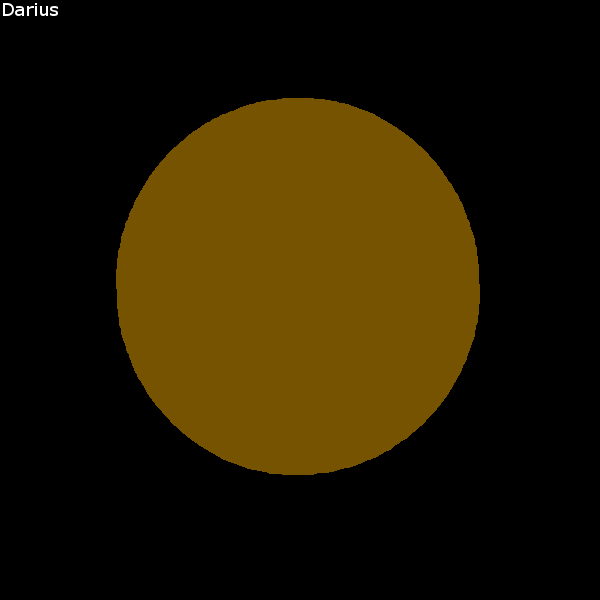 It is the biggest tree on Darius simply because there are no other trees yet. With out light or water it cannot grow. The murky bog forms around the tree. The tree is somehow briefly sustained by the water, though its bark and leafs grow dark. The bog itself tosses and turns from the lack of a moon. The sorrowful child tries to raise the earth but all he gets is a small hill. A small grassland rises, perhaps with treasures hidden underneath. However, with out water or light this fertile land might go to waste. Well let me just solve that whole "lack of a natural satellite" problem. 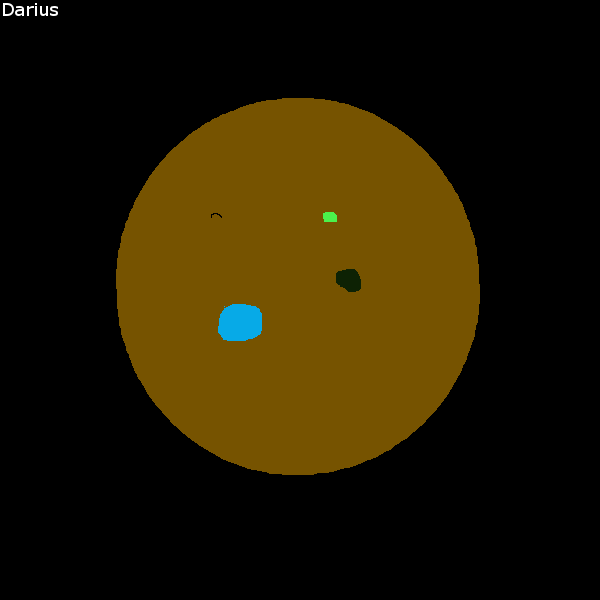 I create a natural satellite large enough to calm the masses of water on Darius. A woman joined the group. The stench of death practically emanated from her body, her torn clothes soaked in blood. Her disgusting pink hair was matted and covered most of her face. What you could see, just a wide smile, and one of her eyes. Those horrible catlike eyes. "H...hello...Gods. You didn't....forget about Bastet...did you?" The god reached up and ran her hand through the hair covering her face, leaving trails of blood and grease across her fingers. "Because...Bastet didn't forget. Neither...neither did Jeff...isn't that right Jeff?" She looked at her side, as if there was some invisible person there to acknowledge her. Bastet made her way over to view the new world, and then smiled, waving her hand over the board. "Light. I want this world to...bathe in...pink light. As...beautiful as I am. A sun...a pink sun...." A die rolled out of her hair, dropping to the ground and stopping on 94, a fine roll. "Everything could...be as cute as me"
"What's that Jeff?" She reached into her hair, and pulled out a mutilated head, holding it closer to her ear. I say mutilated, but it was obviously an ancient god that Bastet had sewn cat ears to. Bastet nodded slowly, and then turned to the others, smiling. "Jeff...wants a vast forest...with a mighty void in the center." Jeff's mouth opened, and a die fell out, landing on 96. Bastet put her head against the rotting head, stroking its hair. "A fine roll...Jeff..."
((OOC: A pink sun, with a 94. Where a more selfish god might turn a blind eye to the sapling and pretend such a thing never happened...this tree, it is my child. I can't simply allow it to perish without doing something to save it, can I? create a underground cavern just below the sapling, making the surface shallow enough for the sapling to fall through, into the cavern, hopefully safe from the poison no, then the poison might just seep through on top of it. I will create a star for this planet to give light to all its inhabitants and burn away the accursed swamp waters wait, Mecha Bastet, you ninja. I create a geyser in the ground beneath the sapling, strong enough to lift the sapling into the air, away from this insidious bog for a short time at least, while simultaneously providing it with fresh, clean water to live by. Well, I guess I might as well kiss my sapling goodbye. Huey looked out over what had ensued, nodding to himself as he smiled. Yes, everything looked quite nice. Zerry's already doing some fancy... things. Huey wasn't entirely sure what he was doing, but it sure seemed fancy. The place definitely needs some celestial bodies, though... Perhaps some round, metal moon that would have a hole through it, the center having a spiritual pupil to watch over the planet that could double as a throne for himself. That sounded really nice to !#%$, but something seemed off about it... He felt almost as if he'd be retreading some ground, but that didn't make sense. The world was fresh, what was there to retread...? And it was at that moment, as She spoke, that !#%$ felt a twinge throughout his entire body. He froze, not even turning to look at the source, but that voice, that voice, it stirred something deep inside of !#%$ that he did not like. The words She spoke, about forgetting and what have you, would likely be important to him, were he not busy reeling from the sudden dizziness he was feeling. As he stumbled about, !#%$ looked around for something, some response to this, anything. It would be then that he'd spot Horus. Huey thought nothing of him at first, but Huey slowly found himself focusing on him as Huey recollected himself, feeling some sense of respect for this small god. He truly felt it was warranted, albeit for reasons he really couldn't put a finger on. Huey was not one to question such instincts in this state, anyways. As he slowly regained his composure, Huey brought his attention to what this Horus guy had made: a... hill. "Modest" was certainly one word you could use to describe it, but truly it hid something greater. Yes, as She worked in the sky, !#%$ nodded. All at once, he understood. And thus, with a mighty blow, !#%$ punched a hole directly in the center of Horus' hill, keeping it going as deep into the planet as he could muster, forming a pathway to an underground sanctuary, so filled with pressure and perhaps even magma of some sort that it was unlikely any living creature could survive there. The spirits of whatever creatures may come, though--this would be their bastion after... whatever it is that She was making in the sky ravaged them. Now that he was underground, Huey finally found himself able to catch his breath and calm down. Or perhaps "calm" was the wrong word choice, considering who we're dealing with, especially since he now felt his work was far from over. Indeed, all these places and celestial beings being made for the creatures--but there were no creatures yet! This clearly had to be fixed. Making his way back out of the hole he had made (doing his best to ignore Her), he turned his attention back towards the bog. In it, he would make amphibious creatures who would not only withstand the toxins of the area, but thrive of it, literally consuming the toxins of the water they swam in, making oasis-esque portions of the bog that seemed safe, almost sanitary even--this is how they'd lure in their second food source, being whatever poor souls wandered into these deceptively clean-looking waters, who would be shred to bits with by these creatures' hidden razor-sharp teeth. Since there were no other creatures yet, of course, this would result in them eating nothing but sludge, or in very rare occasions, if one were so foolish (or perhaps even brave or desperate) to wander into a clear portion of water, each other. Rolled an 83 for the Hell-hole in Horus' hill, and 51 for the amphibious, toxin-consuming bog-creatures, downed to 73 and 41 respectively. "Ohhh..ohhhhh..." Horus held his head, shaking it. This is terrible, oh so terrible! He took out a small slingshot and aimed randomly towards the globe. "Whereever it hits...make a canyon!" That would certainly get him a nice habitat for his birds. He shot towards Darius, squinting a little as he let the roll decide the fate. A stout, dignified, fatherly butler walks into the otherworldly realm of the gods carrying a briefcase. He sets the breifcase down and opens it. A chair folds out of it and bolts itself to the floor. He then takes a sticky note and puts it on the chair. "This seat reserved for Professer Leonardo 'Butts McGee' Housingfletcher"
The butler then stood next to the chair waiting for his master to arrive. He will be waiting there for a long time. Beimaihn should've heeded the words of his other voice. A simple plains isn't enough. How can it receive nourishment? But that's when more started to chime in... "Water..." "Minerals..." They spoke in different tones, yet all in unison. All were collected within the one thought Beimaihn the Great. He is one, but he is also many. He stands alone, but speaks with a thousand voices. "I commence," he bellowed, "a great river shall sprawl through the plains! Giving nourishment to the land!!" But a simple river wasn't enough. All rivers must lead to a location. However, the ocean far off in the south-west wasn't going to cut it due to its raging waters. And the bog was completely out of the question. "A lake, with the cleanest of waters, shall be the end point for a river as great as I! It shall lie to the northwest! Come forth, elements of water, and give nourishment to the land!!" He clenched his cane tightly and gazed on down, a ping of disappointment grew within him. Perhaps doing such a rash thing was too hasty, or so one of his voices suggested. Another felt perhaps a different course of action was needed, something smaller and more to your task. A chunk of the planet rises into the air and is set in orbit around Darius. It appears to be fairly stable. The waters of the planet calm in response. This moon is called Aloc. In the distance the sun Plight forms, bathing the world in it's pink light. With the light, plants gain the nutrients to grow and thrive. 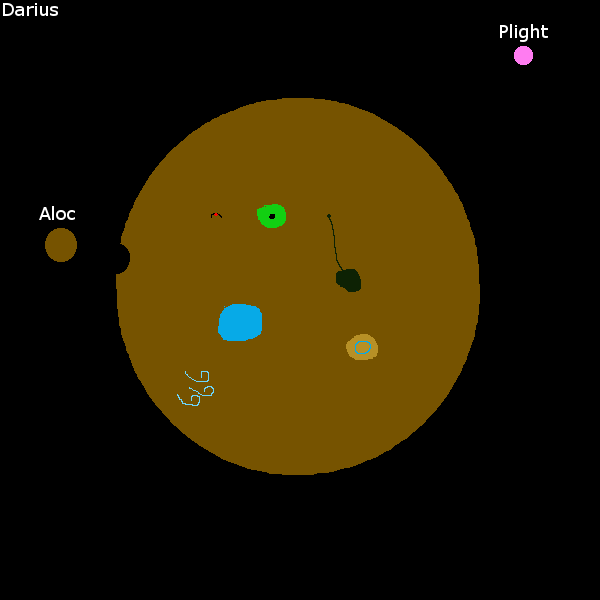 Back on Darius a forest sprouts, containing a void at the center. Anything that enters it does not return. The forest is full of small streams providing it with whats necessary for the beginning of life. However, all water originates from the void. A geyser of fresh water shoots into the air but soon it turns dark from the bog water filling the underground chasm where its water is stored. The toxic water continuously sprays the area making it even more deadly. The tree itself is uprooted by the geyser and lands somewhere in the bog. Rolled a 83 for the Hell-hole in Horus' hill, and 51 for the amphibious, toxin-consuming bog-creatures, downed to 73 and 41 respectively. On the top of the small, insignificant hill a hole is burrowed deep into the fiery depths. Life could not survive in its depths but the spirits of the dead would find themselves drawn there. In the bog, dark tadpole like creatures were born. These are called Gurts. They are fairly small, though closer to the size of a frog, and live off the toxins. The toxins however only barely sustain them leading some to die. Soon they begin to feed on each other as an alternative food source. A meteor smashes into the planet and creates a canyon. Beimaihn tries to draw water through his plains but the water comes from the poisonous bog. Life around the river dies and Gurts are introduced into the ecosystem. At the end of the river a lake forms where the water is more deluded. Fewer Gurts are found here because it is less polluted. EVENT: Bugs and lizards begin life in the forest. EVENT: Due to conditions in the plains, the Gurts there begin to develop limbs and climb out of the river. However, they do not stray far from it since their food source, toxins and other Gurts, can be found there. !#%$ smiled. He chuckled. He laughed; he burst out into a cackle. Not only was he the first to make life, but it was already spreading! Ah, this was almost too easy. Huey eventually calmed down, knowing he couldn't get too !#%$. Being the first just means they have time to know what they're up against. Meanwhile, that blasted Blight of the sky burned away in the realm above. No, things were far from over, and putting all your eggs in one basket would be a mistake. Turning back towards the Hell-hole he had created with Horus' most gracious help, Huey began digging out an underground cave system of sorts with small tunnels leading from the Hell-hole, causing magma to leak out and become a part of the ecosystem, but not over-dominating it. Most importantly, though, he would make the ceiling/roof of these caves be covered in a highly reflective mineral--this would in turn light up the caves from the magma's light, and reflect that wretched pink light back at the sky where the mineral breached the surface. Huey nodded. 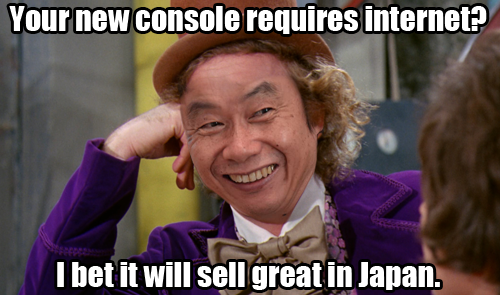 Yes, that would do nicely. These caves though--they needed something to live in them, to enjoy this underground sanctuary he had made. All these places that were being made--it was certainly a solid place to start, but without creatures living in them, it just wasn't all that interesting to him--and !#%$ wasn't the most patient of gods, no. And so, he made another species--this time, a fish-like creature with very dark, rigid skin to protect it from the rivers of lava they swam through. They would eat rocks, leaving lava in their wake as their droppings, constantly extending the cave system, but also making it slightly more dangerous should any creatures not completely immune to lava move in. Their rocky fins would give them limited grip so as to be able to climb around the rocky walls around them, so not every tunnel they chewed out would be completely filled with lava. Rolled a 76 for the cave system branching from the Hell-hole, and an 82 for the lava fish inside, downed to 66 and 72, respectively. Well, I must look to the future while learning from the past. It seems I jumped the gun by trying to create life without creating a suitable environment for it first. For my next move, I create an atmosphere for all of Darius. Oxygen, nitrogen, I command thee spread across this bare planet and become a shield from the harsh rays of Plight, and create wind where the different temperatures mix. I infest the swamp with a complete ecosystem of bacteria for shiggles. Horus grinned. Everyone in the universe would want to protect that smile. He took out a bowl of water and put a few drips onto the globe over the canyon. Theoretically, it would only be enough to make a mighty river that courses through the canyon, which he's now dubbing "Great Rocky Place". The river would be called the "Rapid Raver River", or the Double-R River for kind-of-short. He rolled for the river to be mighty and plentiful. The large double doors leading into the grand room in which the gods worked were thrown open, drawing the attention of nobody. The gods were too busy with their craft, you see. Accompanied by cigarette smoke, a middle aged man with silver hair and a cold stare enters. He pauses, his eyes shifting from one side to the other as he quickly examines each of the gods. "This is the group I have to deal with now?" he mumbles quietly to himself, the smoke of his cigarette wafting up and down as he speaks, "a butler for a god lazier than I, a hopeless and luckless wreck, a vengeful coward, someone who loves their breakfast far too much, a manipulator, and..." He pauses again, his gaze stopping on Bastet. "Ehhgh..." And what was that smell he was picking up? Where in the world was that janitor? Grabbing hold of his cigarette he moves forward, making his way to the center of the room as he exhales a puff of smoke. "Well don't everybody start without me." A large cylinder bursts out of the ground before he can find a spot of his own, a panel on its top humming brightly as it glows. "Name?" it asks in a grating a mechanical voice. "Gene the Ascended, God of Energy," the man replies wearily, lightly tapping his cigarette above the panel to drop some ash onto it. "And of shirking his duties," the voice scolds. "You walked out quite early from the last game with nary a word. Further failure to complete your duties will have consequence." "Doubtful." The panel on the cylinder slides back, revealing a die large enough to grip with an opened hand. No numbers are displayed, but rather blank screens cover each face. Gene takes hold of his die as the cylinder retracts into the ground, and with it steps over to a table where a hologram of Darius is displayed hovering above it. "Mmm... Lot of low rolls and mishaps already. 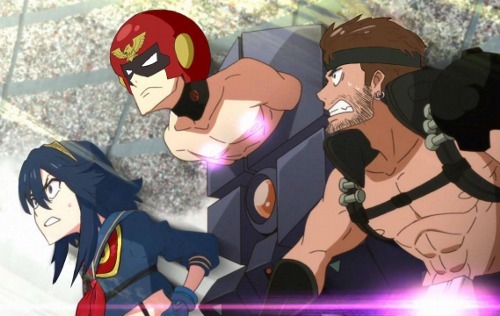 How are you supposed to measure the power of a god in a luck-based game like this?" Shaking his head Gene points to a spot in the southwest. "I want the weather here to be windy a majority of the time. A fine breeze capable of being harnessed, but incapable of causing destruction." With out so much as shaking his dice Gene rolls, the die landing on a side with the topmost screen revealing a PERFECT 100 WHAT?! "Really? Just throwing out all my luck on the first roll?" Lifting up his die to the hologram Gene says (to nobody? ), "hey, lady. 100. Winds. Let's get to it." ((OOC: GENE THE ASCENDED, GOD OF ENERGY (and arriving fashionably late apparently) HAS JOINED THE GAME! Creation: Winds are to be created in the southwest that are strong enough to be used in the future, but not capable of wanton destruction. Beimaihn collapsed. All his doing is just making matters worse. An important lesson is being learned here...and it is something the many voices warned him of before. His desire to live to his moniker has blinded him. You do not achieve Greatness through selfish means. While the intentions were pure, they were all done for his own name to reach beyond any other deity. Instead, he has brought infamy upon himself. Mirrored caves expand from the bottom of the hell hole, cracks form in the walls filling areas with lava. The light of the magma reflections off the mirrors light up the caves and the hole glows red. Then the lava rivers were filled with fish that look like cooled magma. They would cling on to the walls of the cavern to eat the rocky walls and then excrete more lava. However, the fish can only breath through their lava gills so they would return back to their rivers after feeding. Zerato takes the breath of plant and creature, expanding them to cover the world. This gives the world weather and wind. The swamp is filled with both helpful and harmful bacteria. They sustain themselves well enough on their own. Because of this they quickly populate the swamp and soon flow down the river to the plains. Gurts begin to die from not having built up immunity to any of the new viruses introduced. The grass of the plains also begins to die because of the bacteria. The mighty river he intended to create was more of a stream, circling the meteor laying at the center of the canyon. Gene grabs the some of the wind that was recently created and pulls them into the southwest. With his power he pins them to that location, never to move unless by godly will and even then it would be a challenge for any god other than Gene, as the winds acknowledge their master. The winds constantly sing praises of him for all who approach them to hear. EVENT: Due to the bacteria and bog, the plains soon die out. EVENT: The Gurts become an endangered species as the cannibalism and viruses of the swamp wipe out most of their numbers.